I bought the Nintendo 2DS last Monday so that I can play the new Pokemon game. 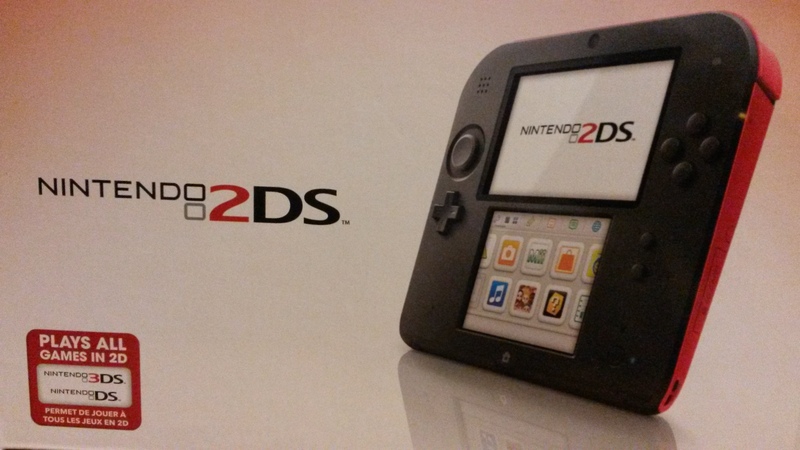 Since I didn’t already have a 3DS, I thought that the new 2DS would be a good buy. It doesn’t have the 3D feature in it which was fine with me because I never liked it to begin with; it always got me dizzy. Without the 3D I had thought that the battery life would also be a lot better. I was wrong on that. The battery doesn’t last that long. My original DS probably had a better battery life than the 2DS. For a portable console, it may not last too long if you’re out and about. Playing with it connected to the charger will probably be your best bet while you play. The size also makes it awkward to carry around. Even with having large pockets in my pants, it barely fits. The $130 price range helps it out however. Buying both the Pokemon game and the 2DS was cheaper than buying the 3DS. If you really don’t care about the 3D feature and don’t already have a DS then I suggest buying this. It gets the job done of just playing games. I’d give the Nintendo 2DS an 8.5/10. It’s a very good substitute for the 3DS.